This 5,600 square foot coastal home is set on a .44 acre property with beauty of ten golf holes and spectacular vistas of the marshes of Ralston Creek. The home features 5 bedrooms, all with their own en suite bathrooms, and a media/play room. 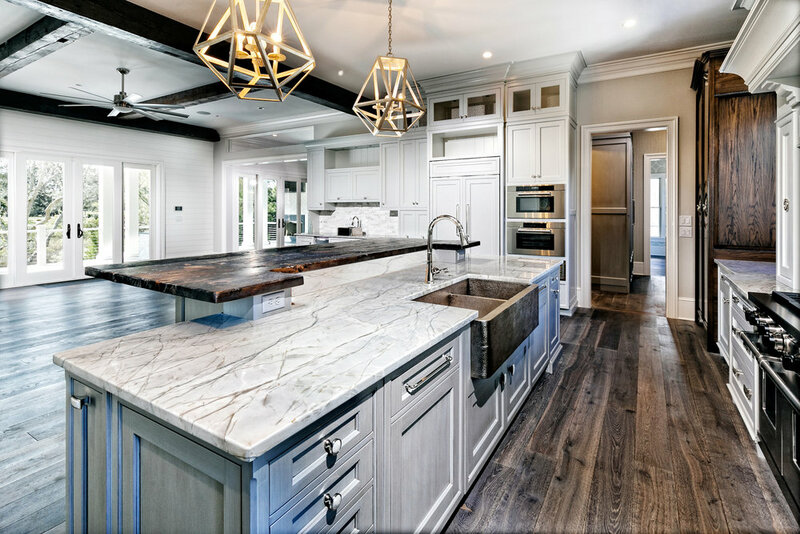 Some gorgeous design features include the shiplap walls throughout the home, stunning reclaimed beams, and gorgeous quartzite counter tops in the kitchen. The gourmet kitchen is one of a kind and features all sub zero wolf appliances. The reclaimed island bar top is very special and was custom made from a farm close to the owner’s heart. The master bathroom features all marble flooring, countertops and a large master shower. There’s over 1,300 square feet of outdoor living space. This includes an outdoor kitchen, fireplace and pool that are absolutely perfect for entertaining and watching sunsets on the Ralston Creek Course.